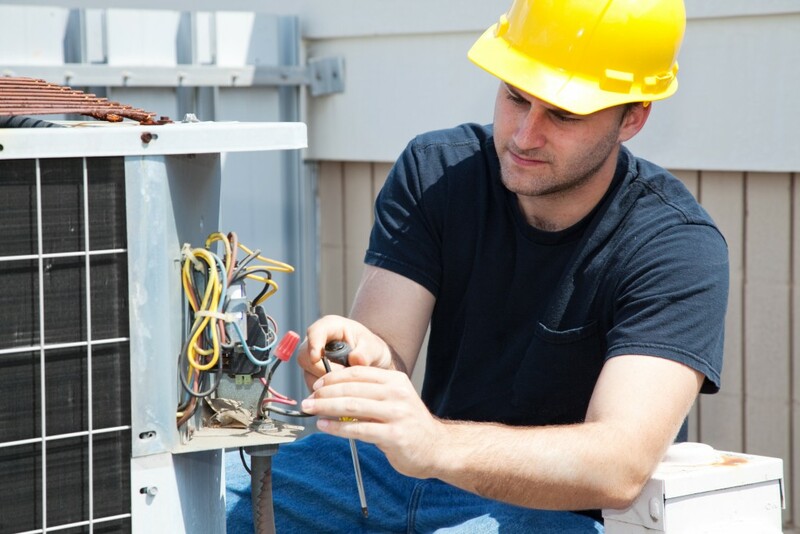 Modern air-conditioning units are, on the whole, robust, reliable and trouble-free. But as with all systems, a regime of service and maintenance will lead to efficient running and may prevent costly and inconvenient breakdowns. Particularly in an office or hot working environment, an effective and fully functioning air-conditioning system can lead to thriving and sustainable productivity from the workforce – comfortable workers are productive and loyal. By initiating a structured and scheduled planned maintenance system, in cooperation with an air-conditioning professional, the work can be easily budgeted for and monitored to ensure full efficiency and protection of the plant. The frequency of maintenance tasks on the system will depend on the loading and duration of operation: a unit operating in a temperate climate may only be run during the summer season, whereas a unit in a hot climate will be run much of the year and at a high load, putting more strain on the components within the system. Failure to have maintenance professionally and regularly undertaken can affect the efficiency and efficacy of the plant. Dirty filters create a higher pressure differential in the system, forcing the air conditioner to work harder and thereby use more energy. The filters protect the internal components of the system and also remove allergens from the air, and consequently they can get clogged and dirty frequently, particularly in city environments. The filters require regular cleaning with an anti-bacterial solution or replacing if they are the fibreglass or paper type. The condenser of the system is often located outside and can become covered by debris or leaves. This will reduce the efficiency of the unit by restricting the heat-transfer performance of the condenser heat exchanger. A professional service engineer will take various readings around the plant relating to air flow, refrigerant pressure and system temperatures. These readings should be taken and logged regularly to build up a picture of how the plant is operating. This can quickly flag up any issues in the plant that are starting to present, allowing maintenance to be undertaken to remedy the problem before it affects the work environment and causes downtime. It is crucial to check for refrigerant leaks on a regular basis. 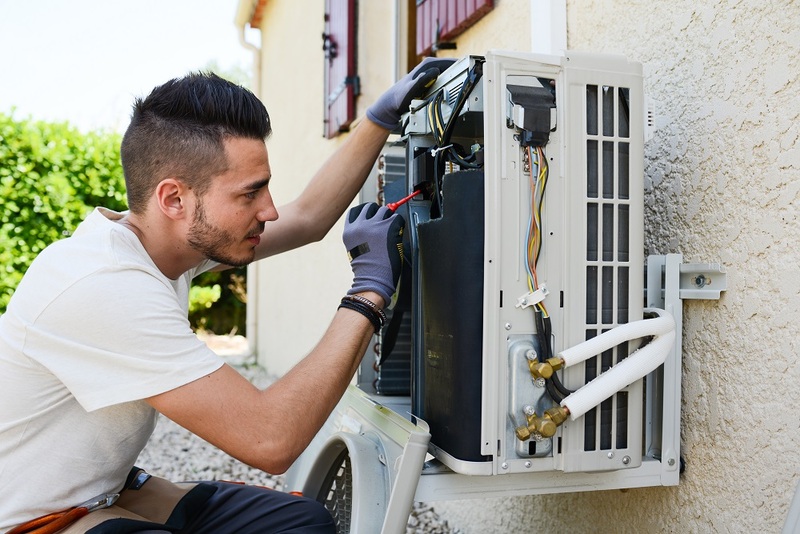 The latest F-gas regulations require the air-conditioner operator to ensure that any leakages are remedied promptly to limit the loss of refrigerant to the atmosphere. Drain pipes of the system must be regularly checked to ensure that they are clear and allow water to be led away promptly. Collection of stagnant water in the system can lead to the development of Legionella bacteria, which can cause Legionnaires’ Disease – a potentially fatal form of pneumonia. All electrical connections should also be regularly checked and maintained to prevent poor connections and short circuits causing disruption to the operation of the unit. 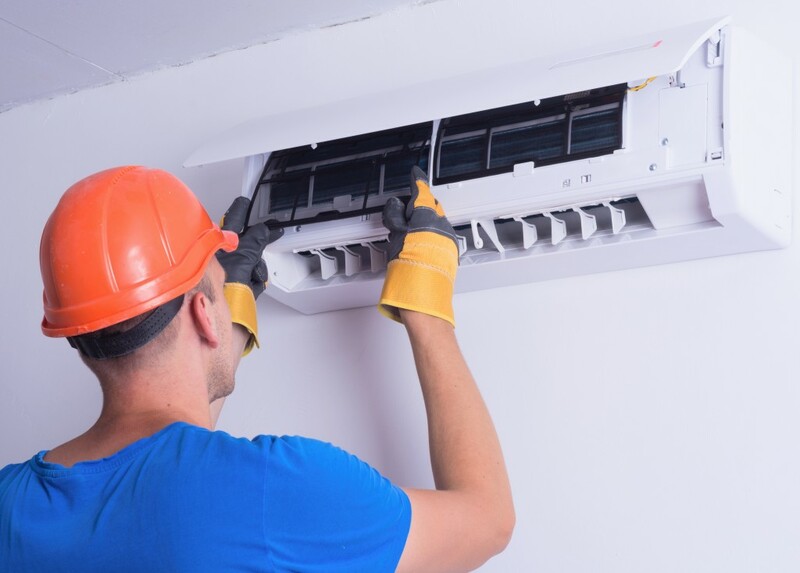 Using a professional air-conditioning service engineer to implement an effective planned maintenance regime is an investment in a company’s assets to reduce energy bills and costly repairs and ensure a comfortable and productive workforce.